Later, join us at our complimentary evening reception, featuring mouth-watering appetizers and your choice of wine, beer or soft drinks. After a refreshing night's rest, take a sunrise stroll and then join us for a full hot breakfast buffet in our dining room. Make your shopping adventure a mini-vacation with a fun stay at the Oxford Suites Yakima. 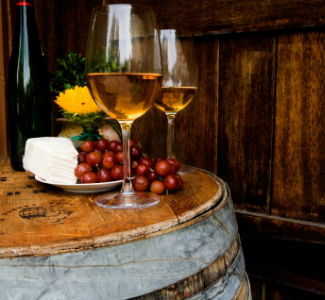 Experience Yakima Valley to the fullest and let us help you make your wine tasting an easy and relaxing adventure. With this package, continue your Yakima Valley wine tour in your suite with a wonderful bottle of local red or white wine and a wine opener. Select room types offered - limited inventory. No charge 3 days prior to arrival for cancellations. Full stay is charged at 48 hrs prior to arrival and is nonrefundable. Promotion pricing applies to new reservations only. Subject to availability-restrictions apply. Not valid for group bookings. Prices based upon single or double occupancy - extra person charge may apply. Cannot be combined with any other discounts or offers. Any changes to reservation arrival or departure dates may incur additional restrictions or penalties.